"There's actually fans. Not many of them, but still. For fans, they sure do complain a lot." 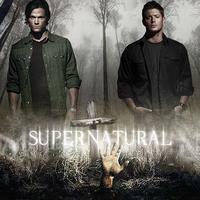 Time to flex you crafty abilities and create a Supernatural themed something! A Devilâ€™s Trap latch hook? Sam and Dean Coasters? A Ghostfacers T-Shirt?? Make it!! The only restriction on your project is that it CAN NOT BE AN ATC! !